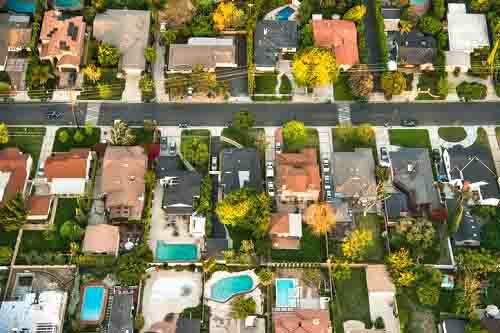 The number of ‘equity-rich’ US homes reached a new high in the fourth quarter of 2018 according to a new report. ATTOM Data Solutions’ Year-End 2018 U.S. Home Equity & Underwater Report reveals that there were 14.5 million homes with a mortgage where estimated combined values of loans secured on the property were 50% or less than the estimated market value of the home. That’s the highest number since Q4 2013, the furthest back for which data is available. At 25.6% of all homes with a mortgage, it is a slight decline in percentage terms from the previous quarter (25.7%) but up from 25.4% in Q4 2017. The report also reveals that the share of homes with a mortgage that are ‘seriously underwater’ - with loans estimated to be at least 25% higher than the estimated market value of the home - remained stable from the previous quarter at 8.8% (5 million homes) but was down from 9.7% in Q4 2017. States with the highest share of mortgages that were seriously underwater included; Louisiana (20.8%); Mississippi (16.9%); Arkansas (15.9%); Illinois (15.6%); and Iowa (15.2%). States with the highest share of equity rich properties were California (43.6%); Hawaii (39.3%); New York (34.2%); Washington (34.2%); and Oregon (32.9%).